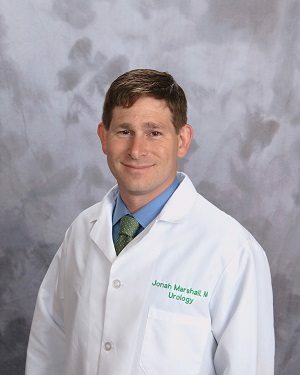 Jonah Marshall, M.D., has joined Capital Region Urology in Albany, New York, a practice of St. Peter’s Health Partners Medical Associates. Board-certified in urology, Marshall will practice urological surgery. His professional interests include urologic oncology and minimally-invasive surgery. Marshall received his medical degree from the University of Rochester School of Medicine and Dentistry in Rochester, New York. He completed his residency at the University of Rochester Medical Center. He earned his bachelor’s degree in molecular biology from Princeton University in Princeton, New Jersey. Marshall is returning to the Capital Region after working at Berkshire Medical Center in Pittsfield, Massachusetts, where he was a leader in robotic surgery and urinary reconstruction. To make an appointment with Marshall, please call Capital Region Urology at 518-438-1019. The practice is located at 319 South Manning Blvd., Suite 106, in Albany.